A little background: Rescued from a liquidated pharmaceutical company and saved from a landfill death, we believe these bottles are gorgeous objects in their own right! 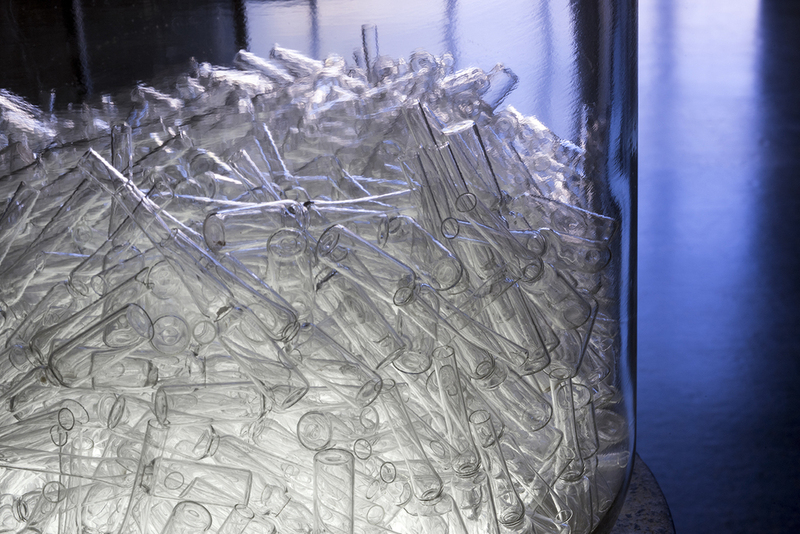 This installation with five bottles is designed to be sold as a single interior element. The bottles are heavy-duty carboy bottles. Each one holds five liquid gallons and sits about 20 inches tall with a diameter of 11.5 inches. Substantial in presence, they weigh approximately 18 pounds each. These bottles are filled with delicate glass medical ampules. 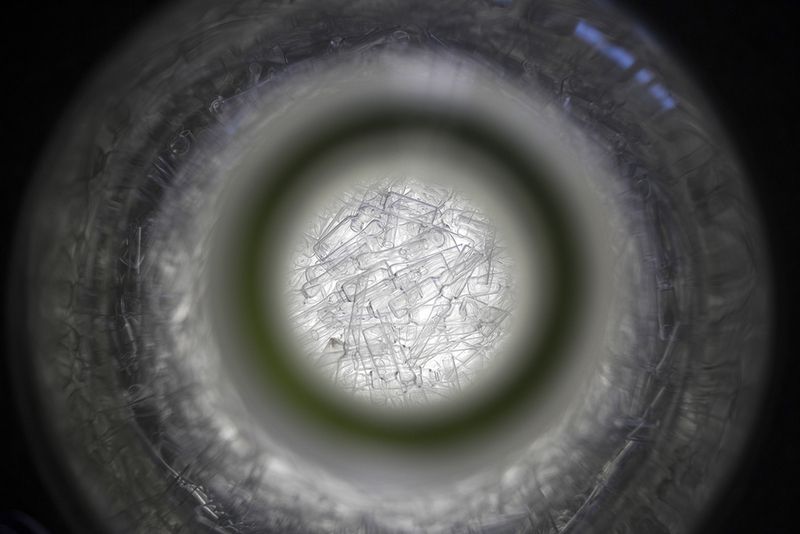 The ampules shine like crystal in sunlight and, when lit, they reflect with an appearance of an x-ray. Note the elegant sloped shoulders, thick lips and integral rubber stopper. 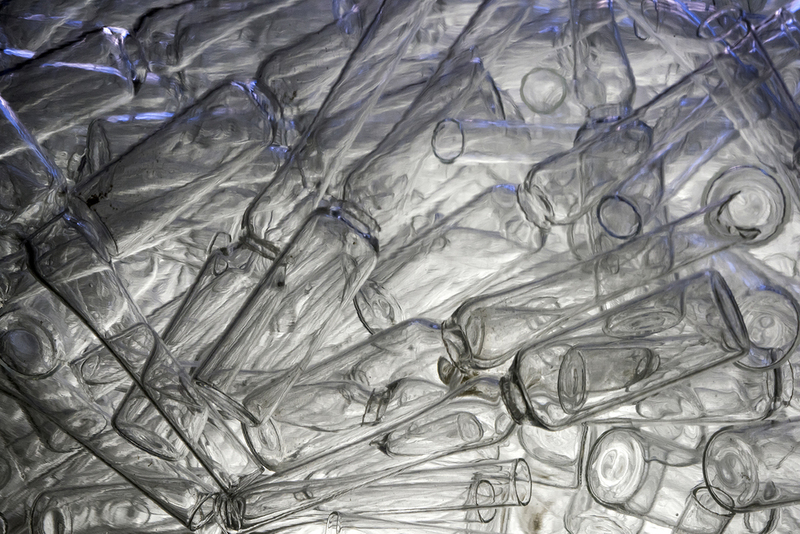 Each bottle rests on a separate custom made LED circular panel and connects to a light control system that allows the installation to be dimmable and controlled remotely as a single light source. The LED light color is rated 5300K (9 watts). The color is called Pure Cool White. Lead time: ready to ship!